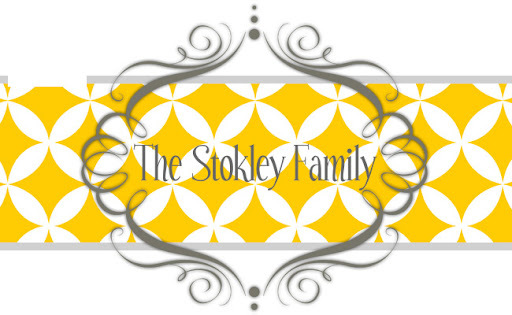 The Stokley Family: Whitney's birthday! I steal it!!! My original plan was to send her on a scavenger hunt for it. But then realized she may want to work out with it that day so I didn't. I really wish I would have though. I sent her the above picture with no words and she wrote back "why do you have my package at nanas!" I couldn't figure out how she knew I was at nanas with it. Later she said she zoomed in to see the name and saw the well in the background. She's a regular Sherlock Holmes! Nana, you may think I'm to busy to come by but the above picture is proof, I'm not. You are to busy for me since you weren't home! Since nana wasn't home for me to bum wrapping paper I had to go to the dollar store. 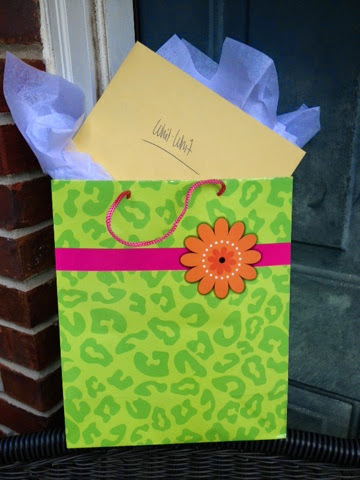 I wrapped it up with a 5 year old birthday card and all! 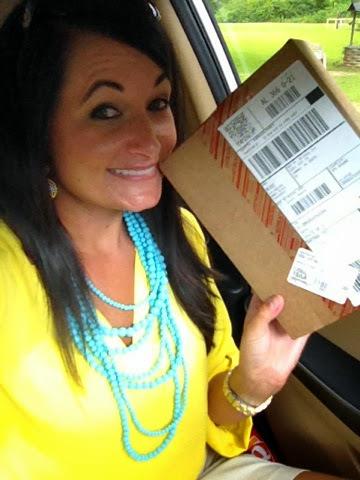 How much more fun is it to come home to a package that's all wrapped up?? Hope you love your birthday present Whitney because I sure love you! !